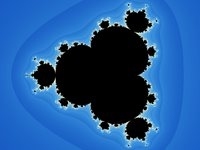 The standard Mandelbrot set can be easily extended. 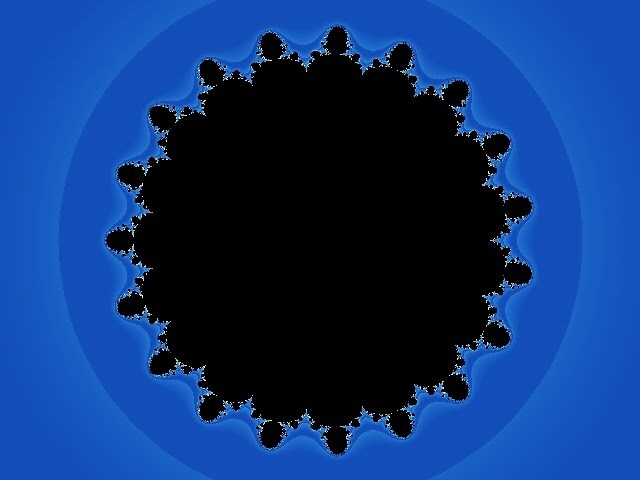 Here we extend the standard Mandelbrot set to higher orders and describe the effects of the change. To extend the standard set to higher orders, we use the following definition. The Mandelbrot set of order n, often called a Multibrot set, is the set of all parameters c such that the orbit of Gc(0), where Gc(z) = z^n + c, is unbounded. 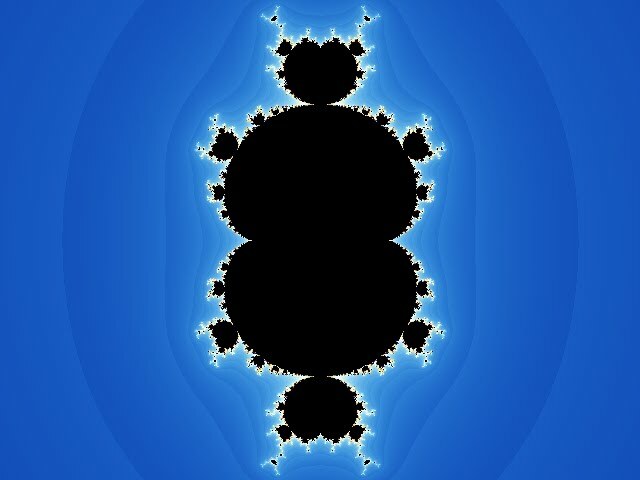 Clearly, graphing a Multibrot set is no more difficult than graphing the standard Mandelbrot set. The only major change is in the function Gc. Here we present the Multibrot set of order 3. Look for similarities and differences between order 2 and order 3. It resembles the standard order-2 Mandelbrot set with an extra cusp, for a total of two. How about for order 4? An additional cusp, for a total of 3. We can already see a pattern: the number of cusps k in the central region is one less than the order n, so k = n-1. You can check that the Multibrot set of order 20 has 19 cusps. 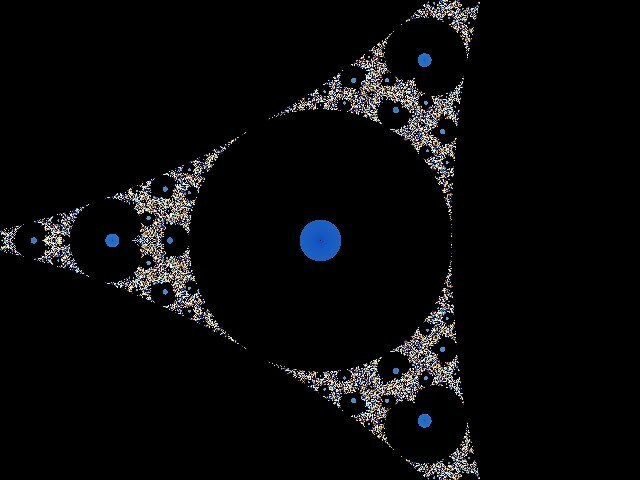 So what happens to the Multibrot set as the order goes to infinity? The set becomes the unit disk. To illustrate, here is the Multibrot set of order 2000. We have proceeded upwards in order - how about downards, to order 1? Obviously the only point that will be in the set is c = 0. 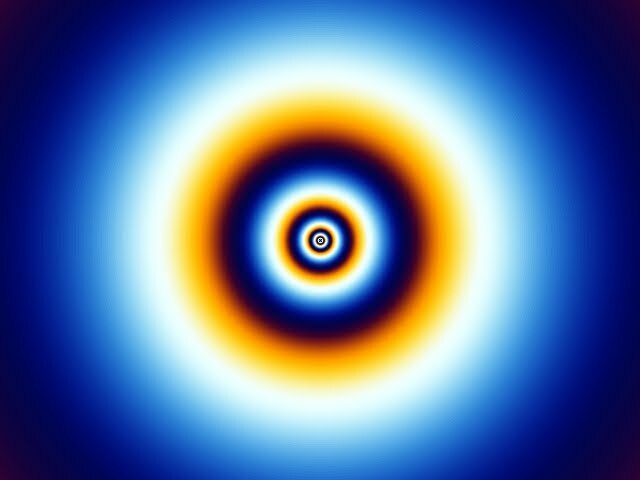 The speed at which orbits go to infinity increases at a linear rate for all other points, away from 0. 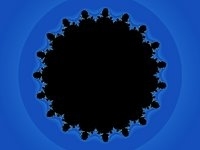 This lends itself to a pretty picture (Remark: note that the set is not a fractal). If we keep going down in order, we get to fractals again, starting at order -2. Here, the "outside" is in the set so that the set is unbounded. 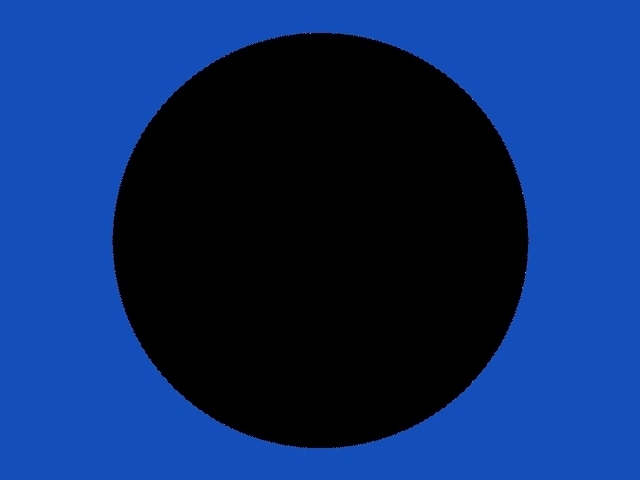 This is inverted compared to the postive orders, where the set was bounded by |c| = 2. To help visualize, below is the graph for order -2. Here we see a reverse pattern: the number of "branches" k (as opposed to cusps) is one more than the absolute value of the order, so k = |n|+1. This concludes the project. I hope that this website proved interesting as well as informative, as it was to me as I produced it.